Prepare to enter twelve magical mythological worlds! Meet gods, heroes, villains and fantastical beasts from Greece to Egypt, and Japan to Native North America. With brilliantly imagined 'maps' of each mythological world, plus a wealth of stories, facts, detail and humour, Myth A... read full description below. Step into the realms of the gods, in this spectacular exploration of the myths and legends of the world. Meet the gods and heroes; the villians, tricksters and fantastical beasts of twelve major mythologies, including Egyptian, Greek, Japanese, Native American, Norse, Polynesian and Aztec. 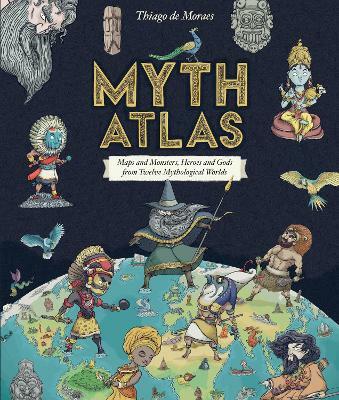 With its brilliantly imagined 'maps' of each mythological world, plus a wealth of stories, facts, detail and humour, Myth Atlas is a magnificent gift book which will captivate children and adults alike.